Download and go pattern puzzle grid for instagram. 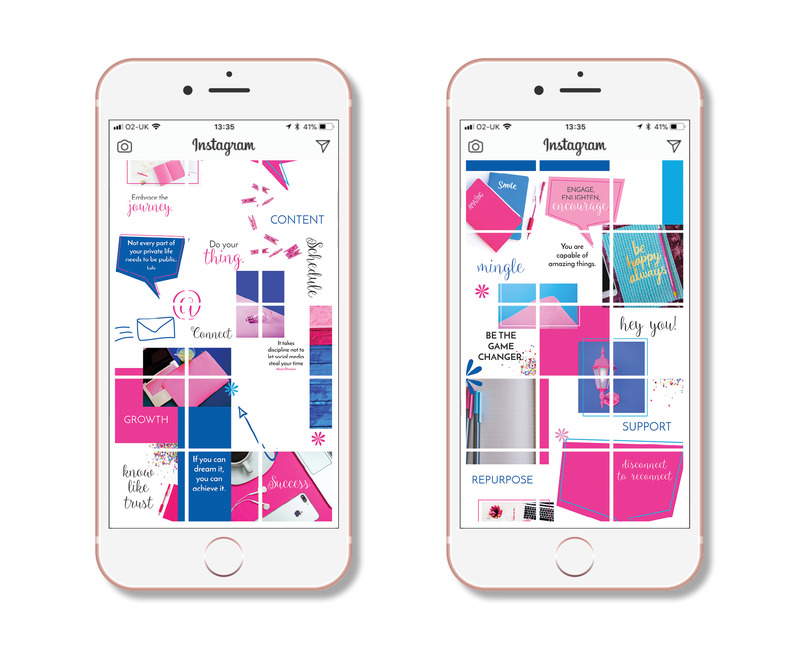 With a 80/20 split - 80 per cent of the posts can be uploaded straightaway and 20 per cent can be personalised - just add your own logo, your own inspirational quotes using either software like Canva or Apps from your phone like WordSwag. 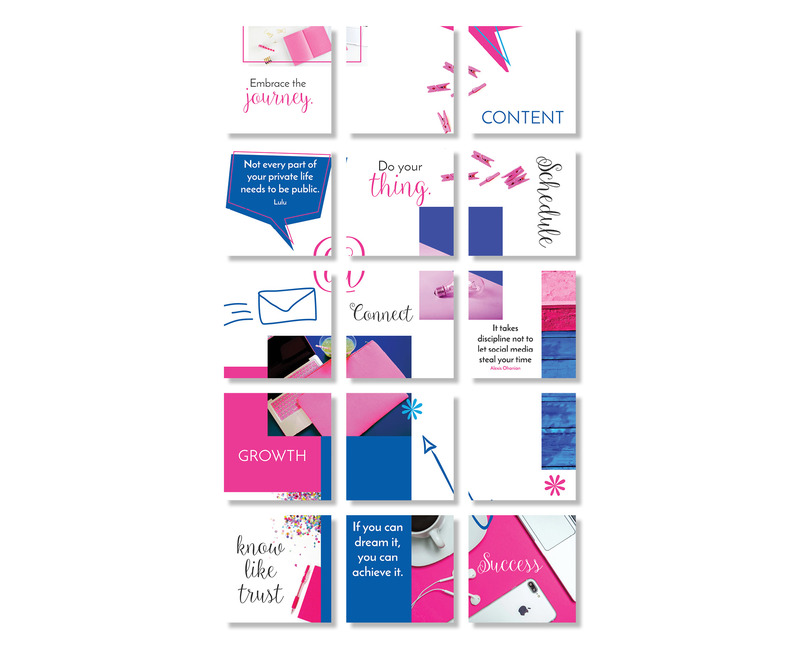 This kit features: inspiration quotes, speech bubbles,hot pink and blue images, asterisk, @ signs, social media quotes. Plus a 10-minute complementary design dilemma call with me. 30 posts - that's a whole month to just download and go. Your Instagram feed will look incredible, professional and on point. Puzzle Grids are beautiful and will help attract and engage your customers. Get creating and posting straight away - all the creation is done for you - all you have to do is add a few words or logo here and there. No need to spend hours and hours creating posts - a whole month's worth of posts are done for you. There's even a tutorial video to show you just how to personalise these posts yourself - add your own logo or inspirational quotes, images of yourself or promotions you may have on. Hey, I'm Vicki Nicolson,a brand creative for savvy entrepreneurs, I have over two decades of branding, design and marketing expertise. I've worked with hundreds of on and offline businesses so I know a thing or two about social media, business start-ups, up-levelling your business, designing to capture the hearts of customers, creating the right look and feel for your business, colour psychology, branding your business with personality as well as the knowledge and expertise of hundreds of tools out there to help you build and design your beautiful brand. Osh - that’s some list of skills!